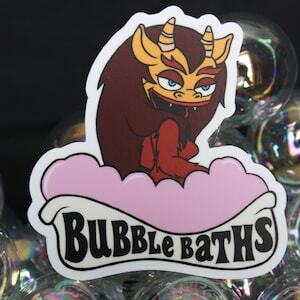 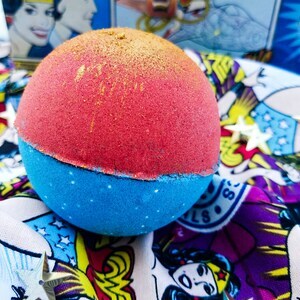 With great bath bombs, comes great relaxation! 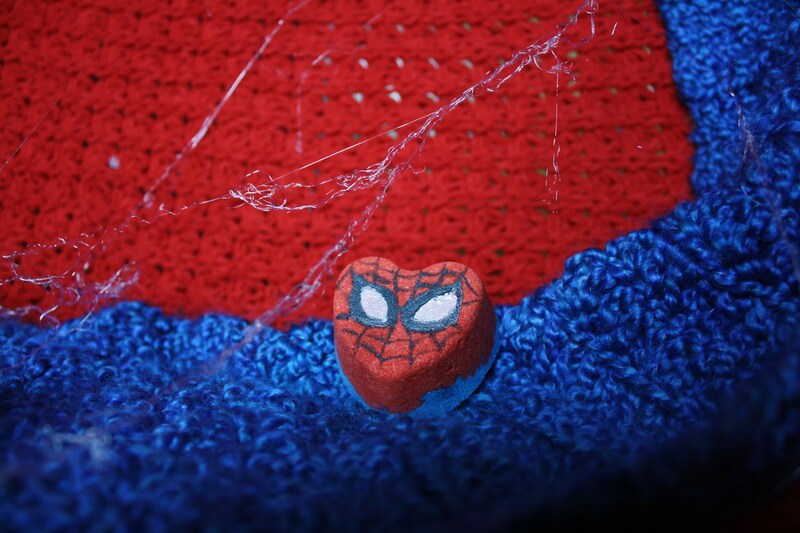 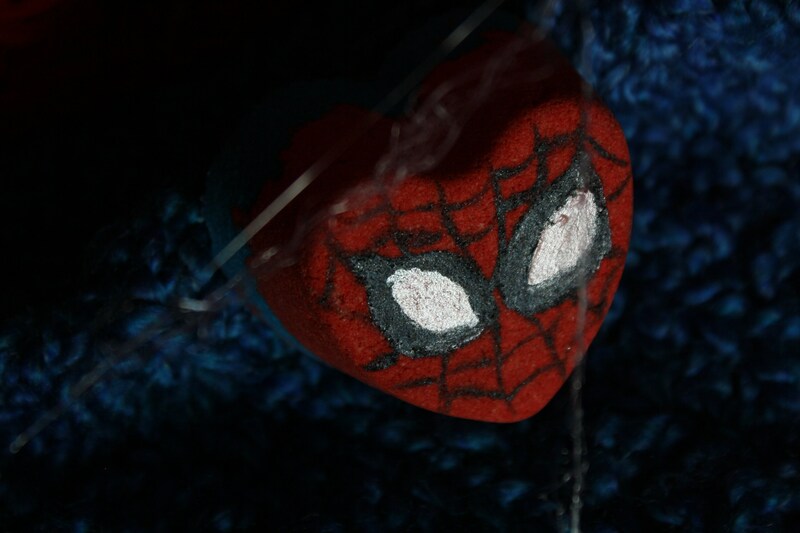 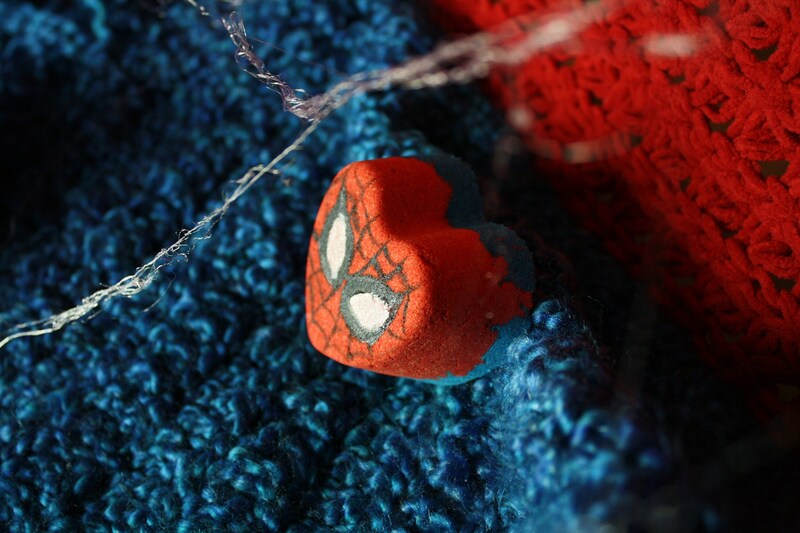 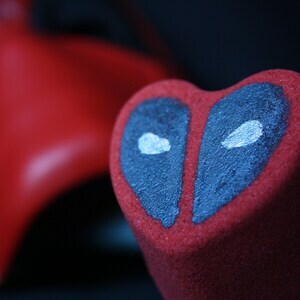 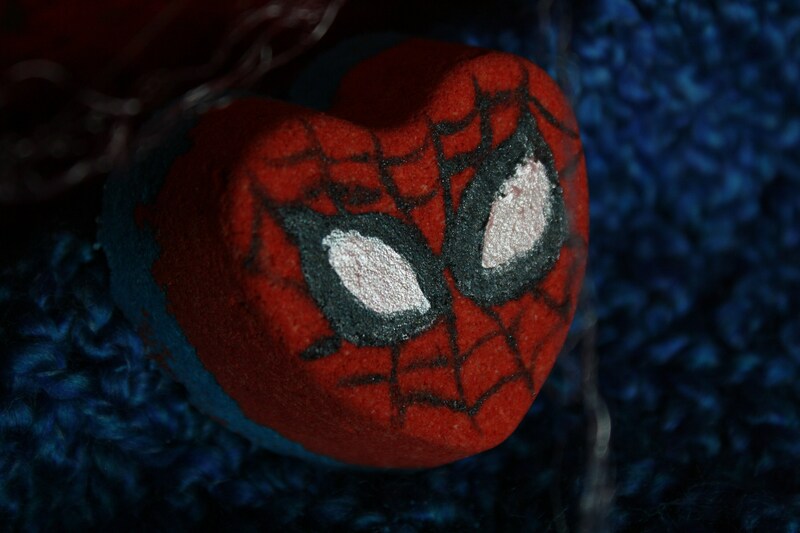 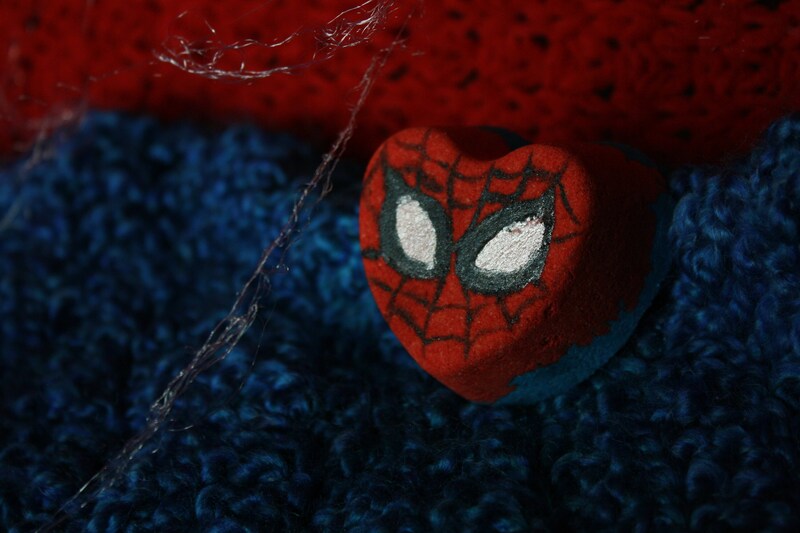 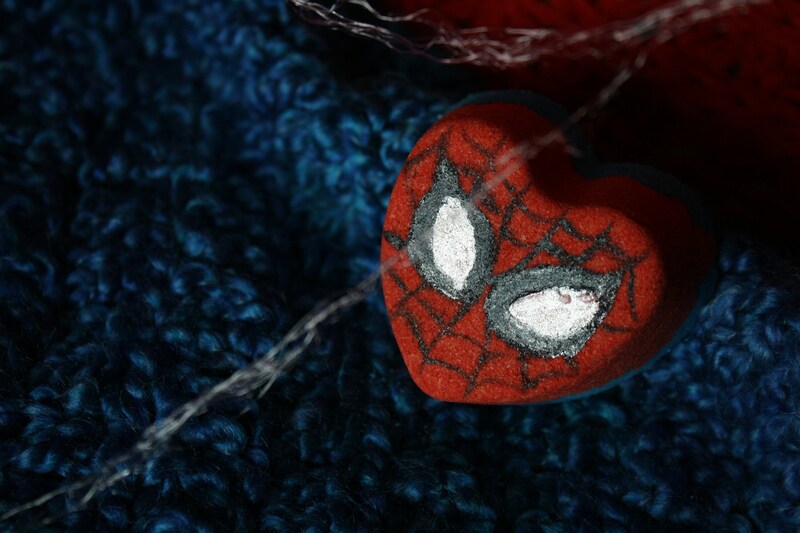 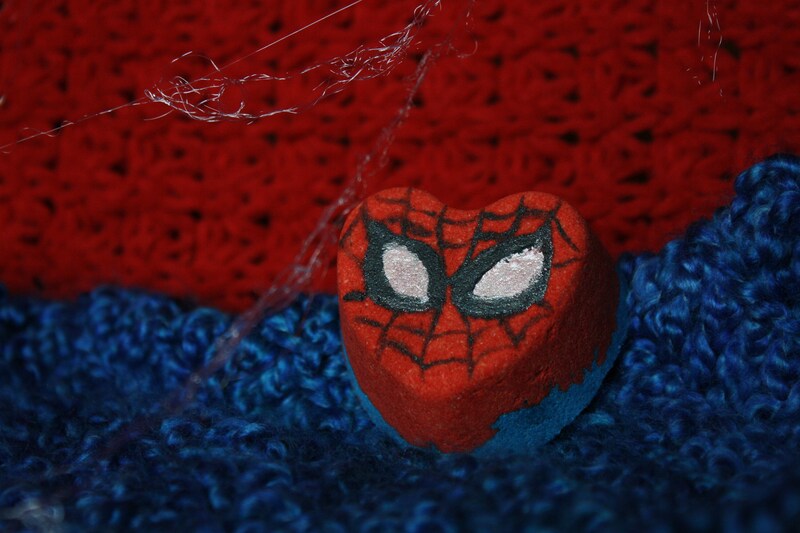 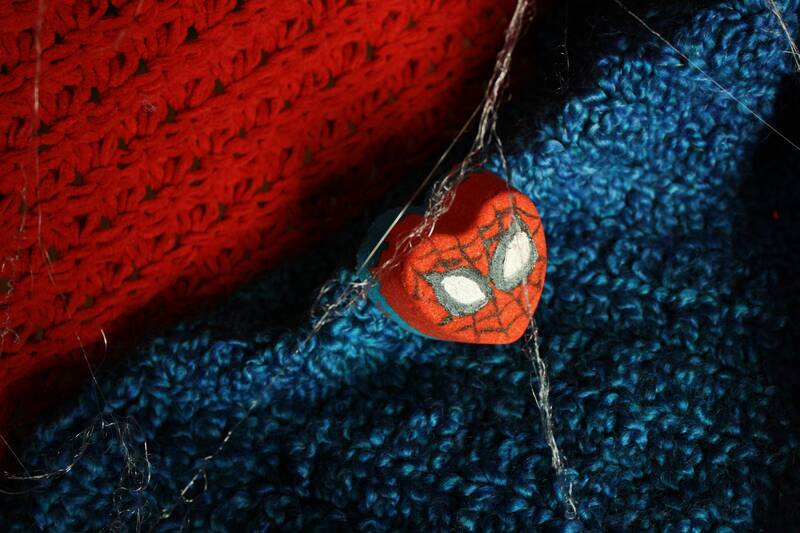 Get ready to unwind in your tub with this Spider-Man inspired heart shaped bath bomb. 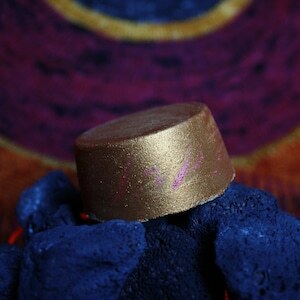 Swirls of red and blue fill your tub with a luscious blend of vanilla and caramel. 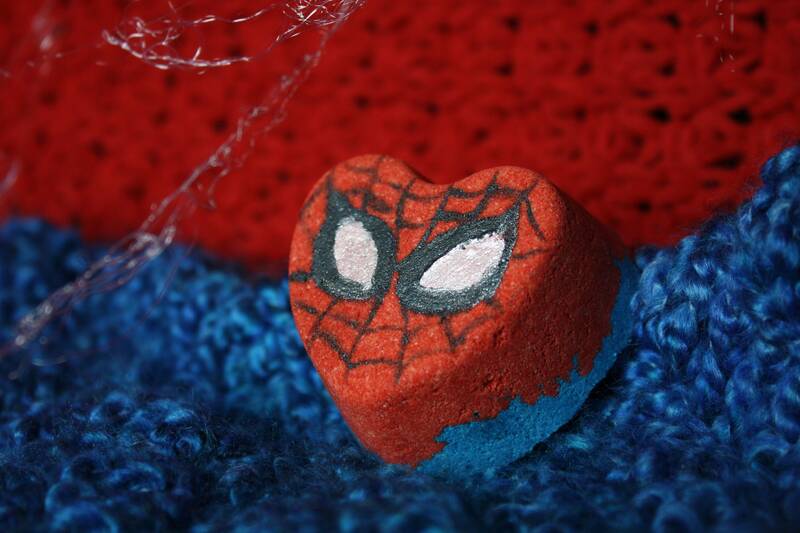 As the bath bomb dissolves you'll feel like Spider-Man is spinning a web around you as the bath bomb foams! 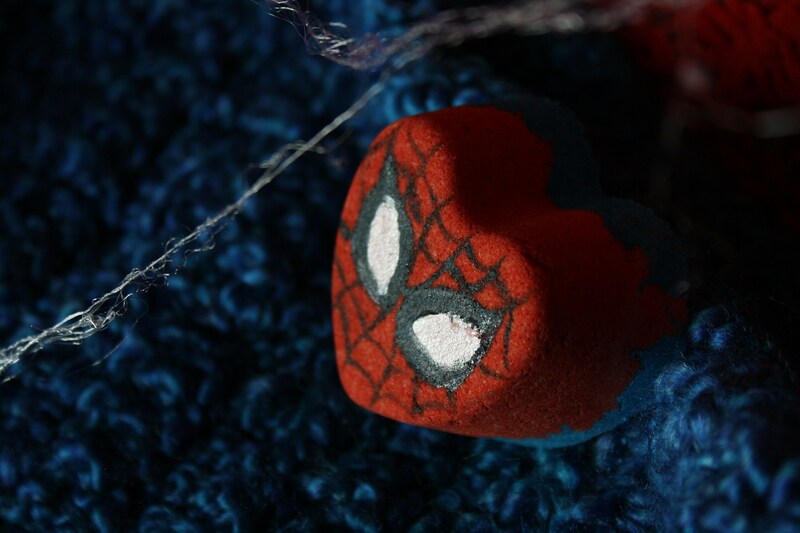 Each bath bomb is hand painted to resemble Spider-Man's mask.